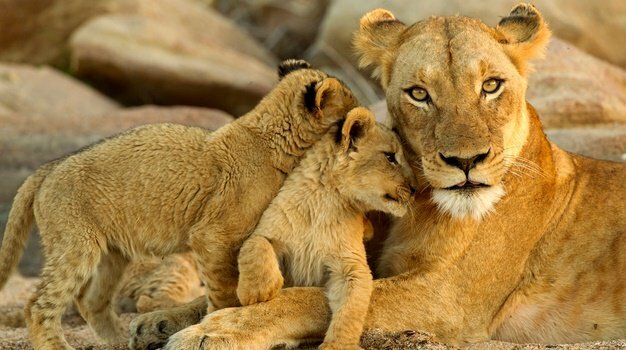 Home to an amazing assortment of wildlife and more than 400 different bird species, the Thanda Safari game reserve in Zululand has recently welcomed a new member into its family. A young, 22-month old female cheetah, arrived at Thanda Safari from the Mkuze Game Reserve on 21 August. Mere moments after being released from her transport container by Mariana Venter, Thanda Safari’s Wildlife co-ordinator into a boma, the beautiful young cheetah wandered confidently around her new surroundings. Venter states, "We’re very excited at her arrival - just a few months ago we welcomed two male cheetahs to the reserve..."
The two male cheetahs have since been moved from the boma and released into the reserve. “The new female will spend the next three months in a boma to get used to her new home, before being released into the reserve”. With the threat that cheetahs may be facing extinction (in South Africa, their natural habitat is shrinking and there are only around 7 000 now in the wild), it is a profoundly heartening moment to see that some action is being taken to preserve and protect this majestic animal.